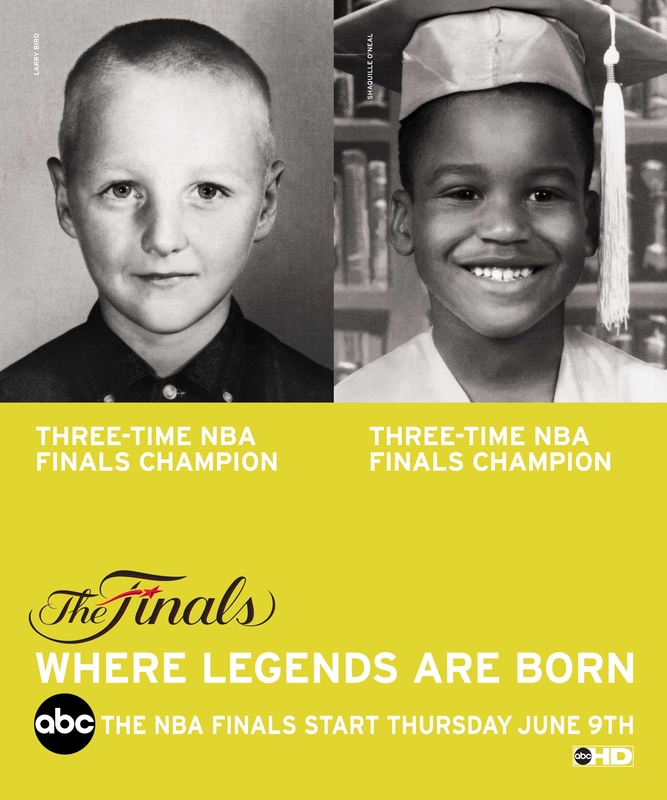 The NBA finals are underway, and Wieden + Kennedy/N.Y. is there with pics of . . . players who are retired or not in the the finals, photographed back when they were kids? There's a good reason for this, according to the agency. "The campaign as a whole, which also features [current finals' stars] Tim Duncan and Chauncy Billups in radio ads, tries to reconnect an older, disenfranchised basketball fan with the NBA finals," explains writer Bobby Hershfield. "Since we developed the campaign well before we knew who would be in the finals, we chose Larry and Magic, because in many ways they represent the golden age of the NBA finals. And through them, we could remind this older target why the finals are so compelling. Shaq was picked because he's a contemporary player who really gained legendary status after winning his first championship. He helped seed the idea that the NBA finals is where legends are born." And who knew Larry Bird was fairly cute when he was little? The photographs are courtesy of the players and the NBA.